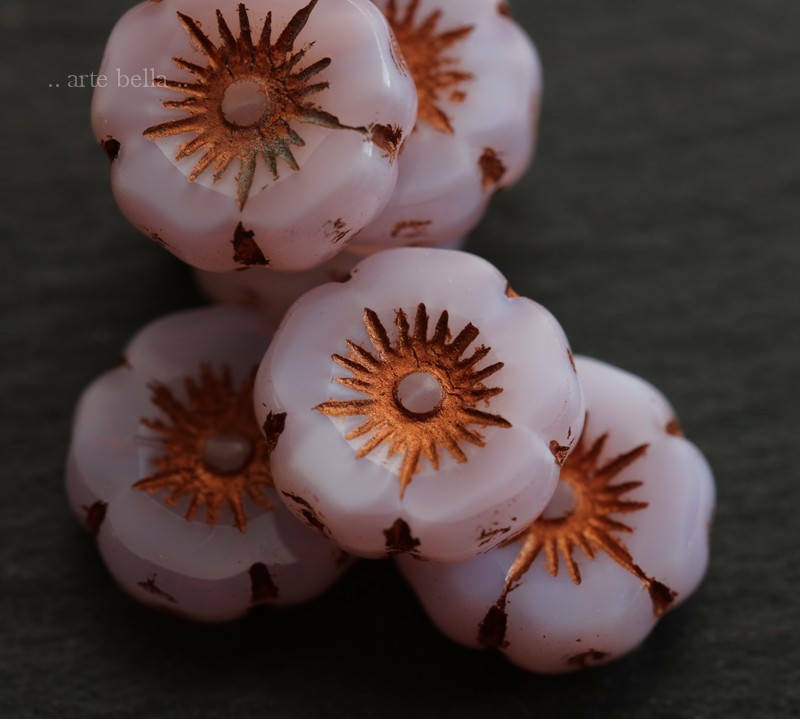 Soft pink opal glass with copper Picasso remaining around the edges and the recessed areas. 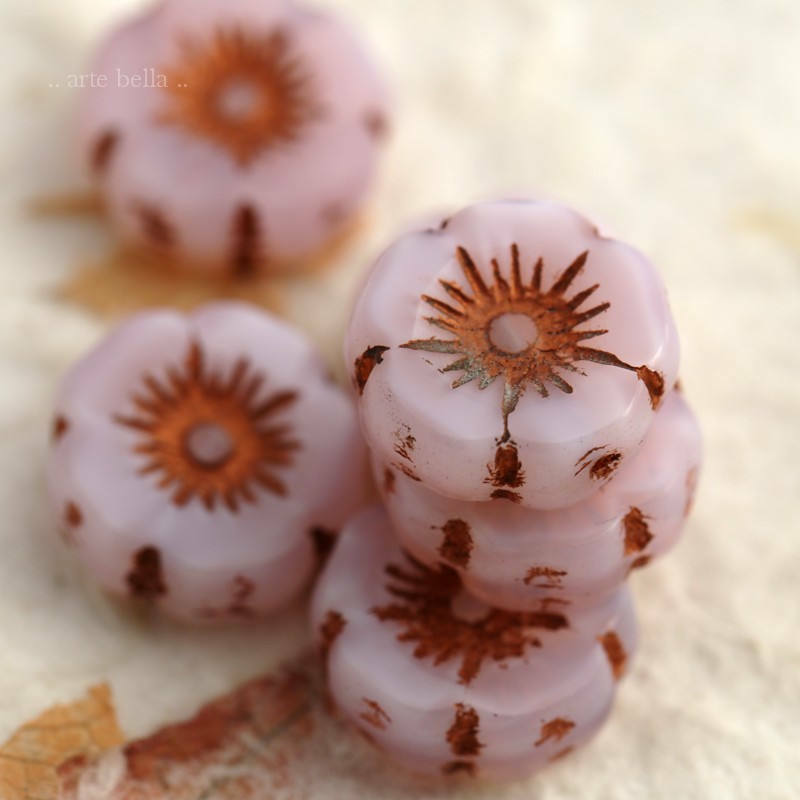 Polished off on the face of the beads to reveal the gorgeous glass beneath. 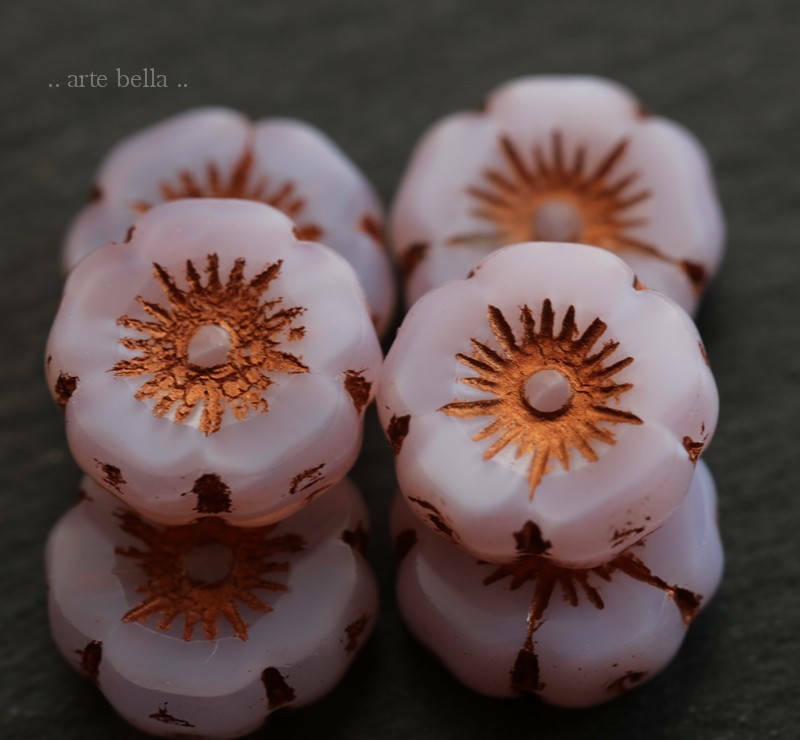 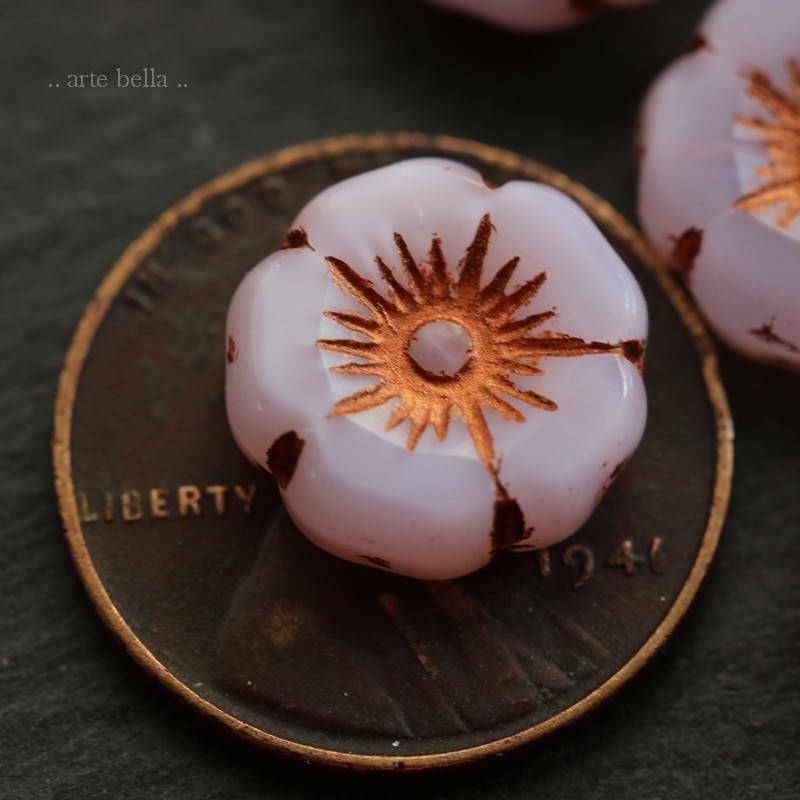 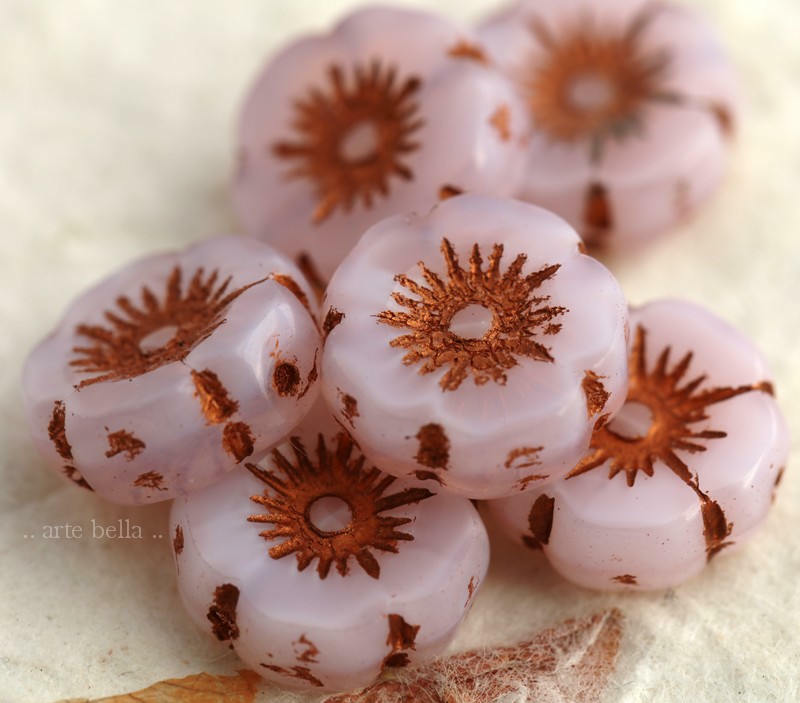 Pretty, high quality bead, a somewhat smaller pansy, perfect for my earrings.